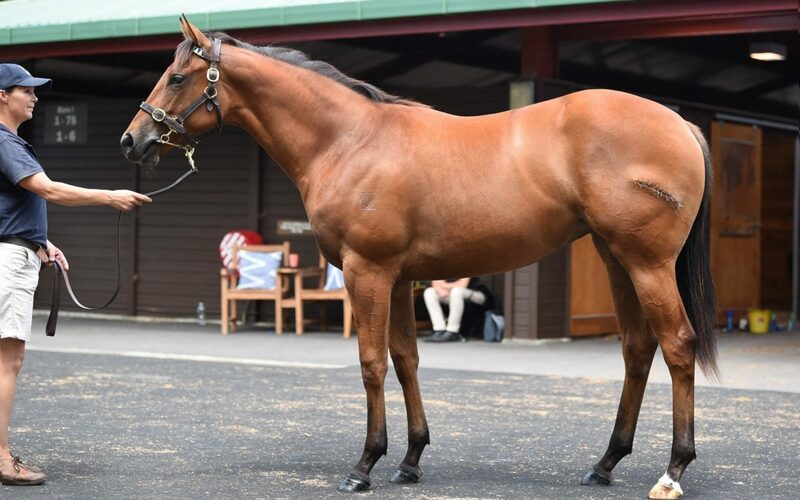 Purchased by Te Akau principal David Ellis and trained by Mark Walker, as a two-year-old Darci Brahma (Danehill) was an impressive debut winner, stakes winner at his second start, runner-up in the Sires’ Produce Stakes (Gr. 1, 1200m) and ended his campaign as a Group One winner of the T. J. Smith Stakes (1600m) in Brisbane – named Champion Two-Year-Old, and Champion Three-Year-Old. Darci Brahma won five Group Ones before retiring to stud, becoming a Champion Stallion six times. 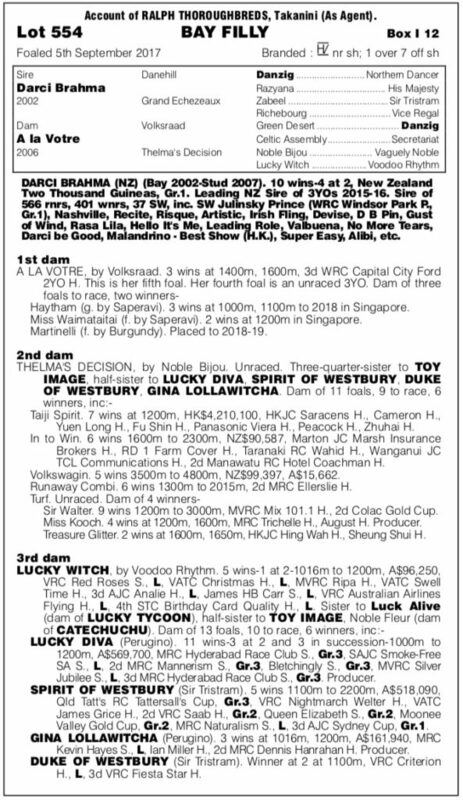 From the talented three time winning mare A La Votre (Volksraad), already a handy producer, the filly has a lovely Danzig (Northern Dancer) cross through Danehill as the sire of Darci Brahma and the grand-sire of dam sire Volksraad.